Of all the titles I thought I'd be writing on this blog, I never thought 'gluten-free' and 'Greenland' would go together - but here we are. I am back from a trip to Greenland's west coast where I sailed among icebergs, gawped at glaciers and swatted a lot of mosquitoes. 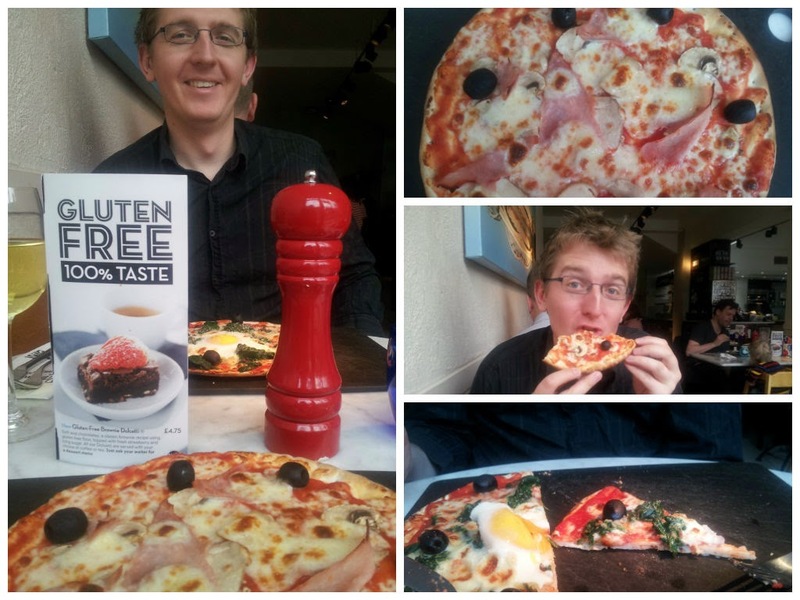 I also ate plenty, so I have gluten-free tips galore for fellow coeliac travellers. Colourful houses in Ilulissat, one of the must-sees on any Greenland trip. Whether you're gluten-free or not, Greenland is the kind of place where you need to have a rucksack stuffed with emergency snacks. Supermarkets and food shops aren't as plentiful as back home, especially in smaller towns, and depending on your arrival time in a new place you might find your food options really limited. For example, in Kangerlussuaq, gateway to some of Greenland's best hiking, the town is dispersed over a big area and places to eat are spread out. I stayed in the Polar Lodge, which doesn't have an attached restaurant. After the only supermarket in walking distance was shut, my options were the airport cafe or an expensive taxi ride to an equally expensive restaurant 5km away. In situations like that, it really pays to have a couple of tins of tuna, crackers or granola stashed in your bag (the airport cafe was predictably all sandwiches, by the way). The good news is that the Greenlandic food I experienced was heavily meaty, fishy, and didn't tend to be crumbed or battered. Drying, preserving in salt and grilling are the preparation methods of preference and muskox, fish, shrimp and fish roe were the norm. Aside from Danish open sandwiches, a lot of the cuisine seemed to be made of naturally gluten-free ingredients. Halibut, seaweed, potatoes and berries were all staples. 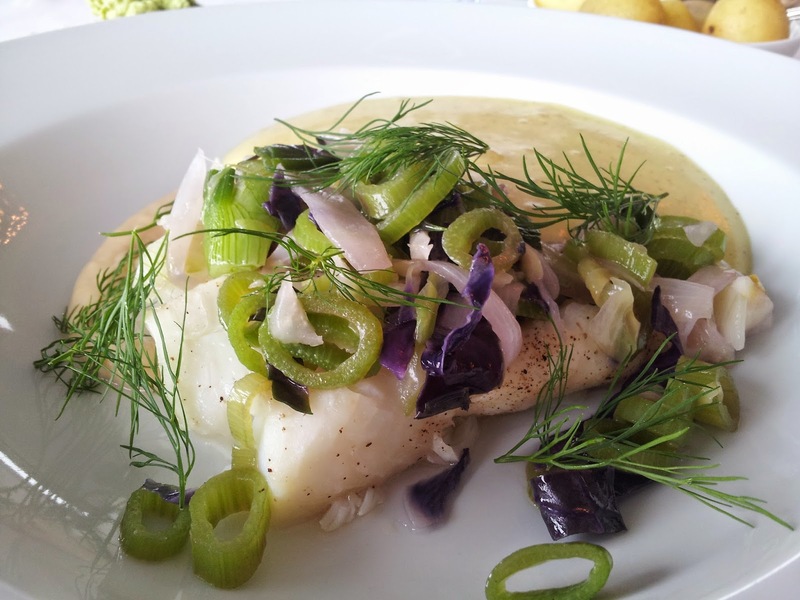 Halibut with parsnip puree, spring onions and angelica salt, at Restaurant Ulo in Ilulissat. And all kinds of meats were on offer, usually grilled (some of which you might feel squeamish about trying: seal, whale and narwhal for starters). 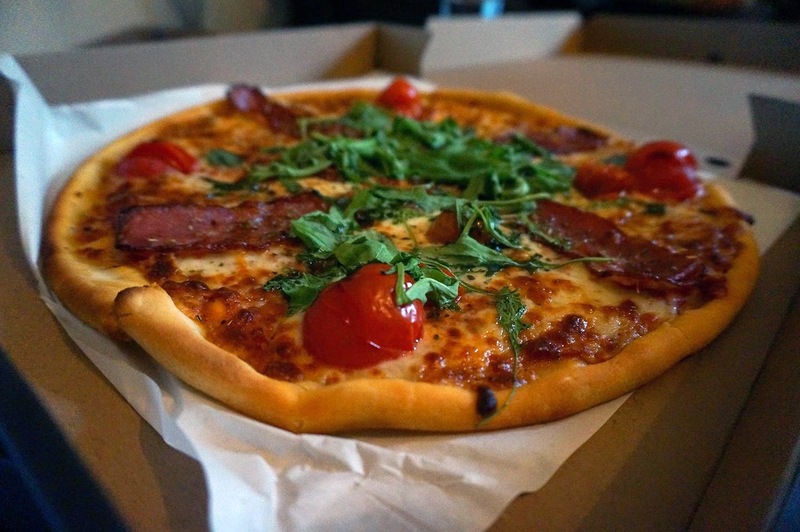 Often they're prepared simply so briefing in your gluten-free request doesn't require more than cross-contamination measures on their part - a language card can help here, especially for sensitive coeliacs. 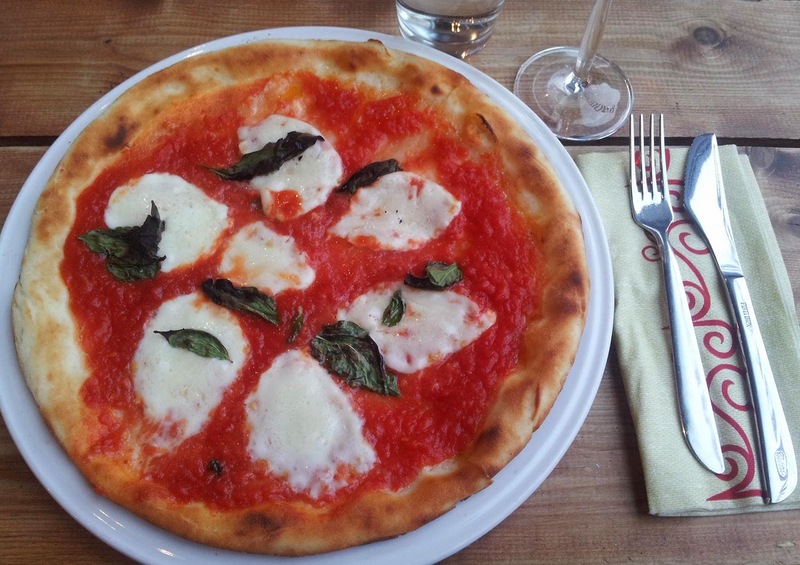 In some countries, knowing the word for 'gluten-free' is the key to good, safe eating. But in Greenland I found it more useful to have a conversation about how a dish was put together, working in my requirements along the way. I spelled out what I could eat, what I couldn't eat, and asked questions about the dish - where I kept the tone interested and excited to try the food but concerned for my own limitations, people were very happy to help. The bad news is that vegetarian gluten-free travellers will have a trickier time, and probably become immensely tired of imported Danish cheeses. Extra rucksack-stuffing for you lot. Breakfast buffets were really variable. When they were good, they were piled high with naturally gluten-free fuel (yoghurt, cheeses, smoked fish, fruit). When they were bad, they were a few slices of bread and a jar of Nutella (which made me glad to have made room for a pack of Udi's granola in my bag). When travelling in Greenland you'll find coffee served at almost every opportunity. If you're waiting for a boat, eyeing up souvenirs or chatting to a tour operator, it's likely that a small stimulating cup will find its way into your hands. Cookies and cakes are often brought out in these situations, to be met with shrugs by us coeliacs, but there didn't seem to be an cultural awkwardness about turning them down. The important social cement seemed to be drinking the java, so if you're a caffeine-head you'll have no trouble enjoying this Greenlandic custom while saying no to the wheaty stuff. 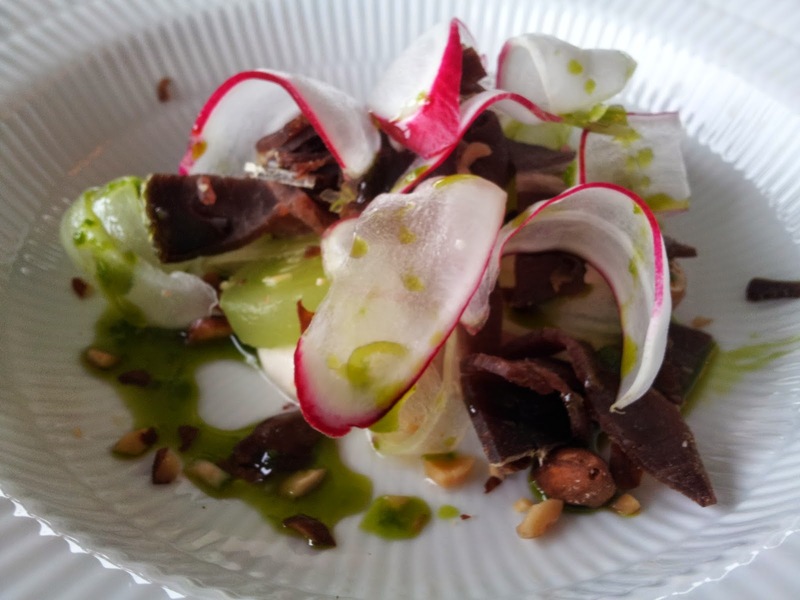 Dried muskox with slivers of radish and cucumber, with basil oil and hazelnuts. In a country of low population density, the power of numbers means it takes far longer for understanding of gluten-free diets to gain traction. So it follows that in as remote a country as Greenland, the word 'gluten-free' isn't exactly on the tips of tongues. Is there any point, then, in dropping the 'gluten-free diet' bomb explicitly, in a place like Greenland where many people won't have the faintest idea what you mean? Actually, yes. 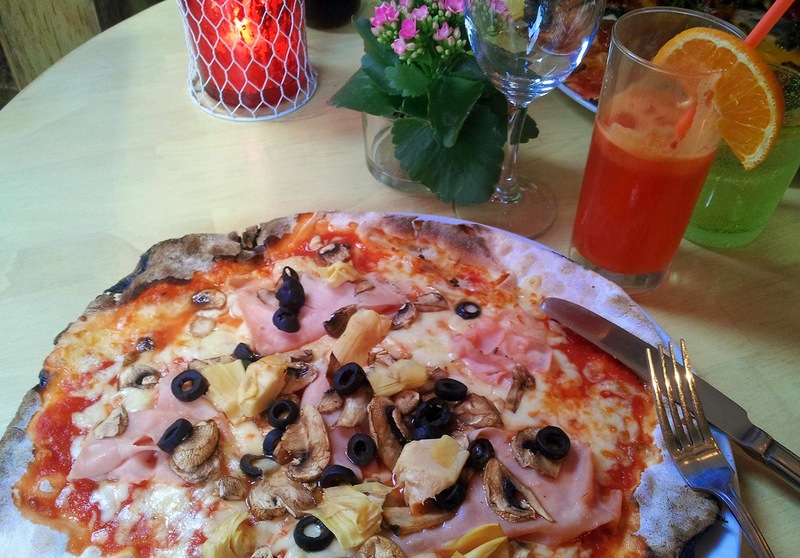 Plenty of hotels and tours in Greenland are run by visiting Danes or half-Danish half-Greenlandic people, who tend to have absorbed a fair bit of understanding about the gluten-free diet back in Denmark where it's much, much better known. I did an internal dance of glee when I found great gluten-free provision at Glacier Camp Eqi (a five-hour boat ride from Ilulissat, one of Greenland's top destinations for travellers). The immensely friendly staff knew what gluten-free was, and having been forewarned they were able to pre-order some gluten-free bread for my breakfasts. I hadn't expected this at all, but they told me that they could cater provided they had plenty of advance warning. All of the food to Camp Eqi arrives on a once-daily boat, so a few days' warning is essential. Given the slow rhythms by which places in Greenland stock and re-stock their food, I'd advise all gluten-free travellers to Greenland to give a few days' notice. And what about the transport? 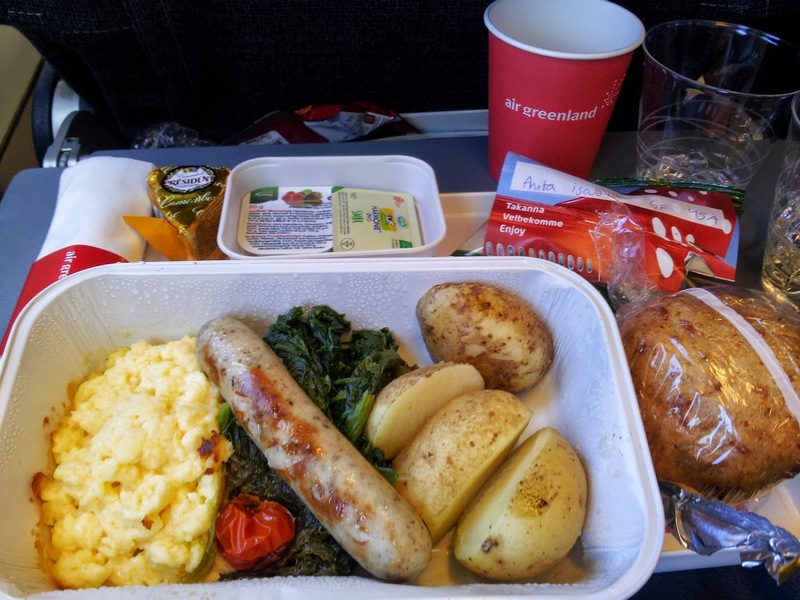 It was the first time I'd flown with Air Greenland and I was pleasantly surprised with the quality of the gluten-free meal. 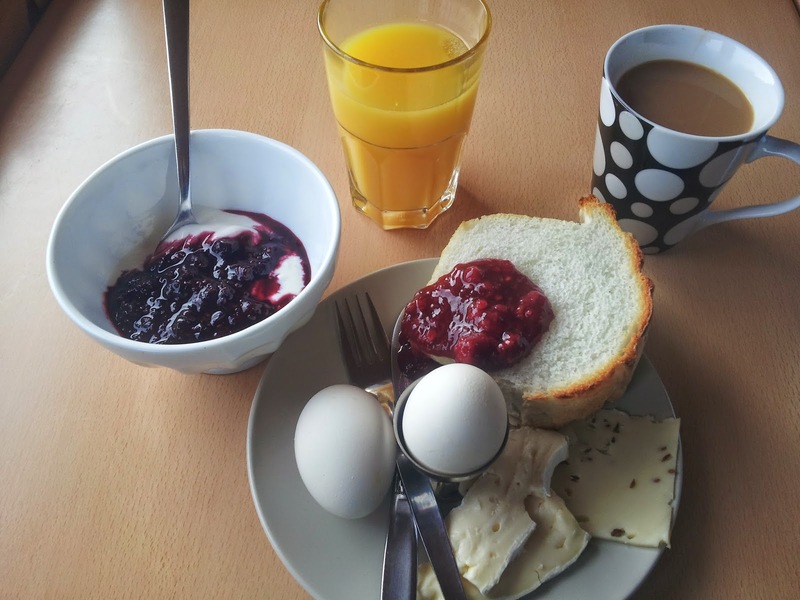 I had feared a frosty fruit salad but my meal travelling from Copenhagen to Kangerlussuaq included gluten-free bread, a pretty hearty breakfast, fruit, all clearly labelled as gluten-free. 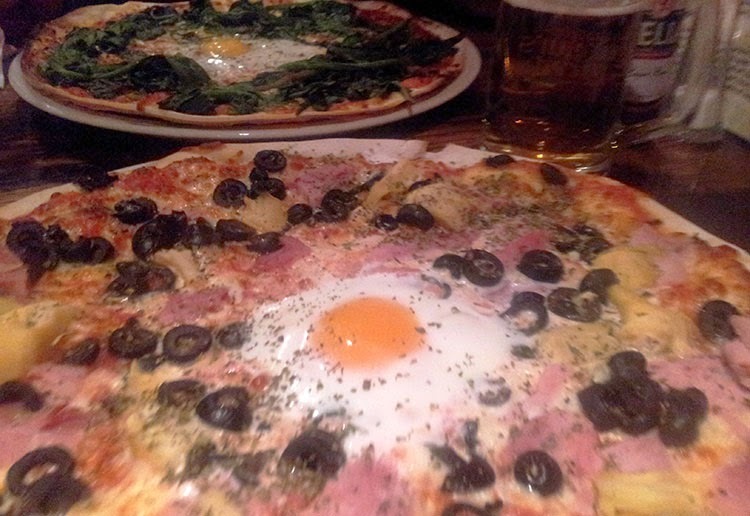 And it was distinctively different to all the other meals (which is always reassuring to my paranoid brain). Flying back from Greenland my meal lacked the gluten-free bread, but I put this down to the relative availability of gluten-free produce in Greenland vs Denmark. It was still good noshin'. Well, maybe not a breeze. You'll need a bit of prep, you'll say no to biscuits, rustle up your stash of crackers at breakfasts, and do a fair few supermarket runs during your travels to Greenland. But in such a meat-protein-fixated place, veggies might actually have a tougher time than coeliacs. In the land of whale blubber snacks and fish at every meal, eating paleo style (and hence gluten-free) was more than manageable. And overall, arming myself with a few Eat Natural bars is a small price to stare out at the Ilulissat icefjord, spot wild muskoxen and hear the grumble of glaciers. If you get the chance to visit Greenland, don't be daunted by dietary requirements and jump on that plane. If I've tweaked your interest and you want to read more about my adventures in Greenland, check out my feature on Lonely Planet and take a look at my journey to Greenland on Storify.